A walk of just under 3 miles. The route crosses over Castle Hill and follows Millersford Brook out into the open Forest. 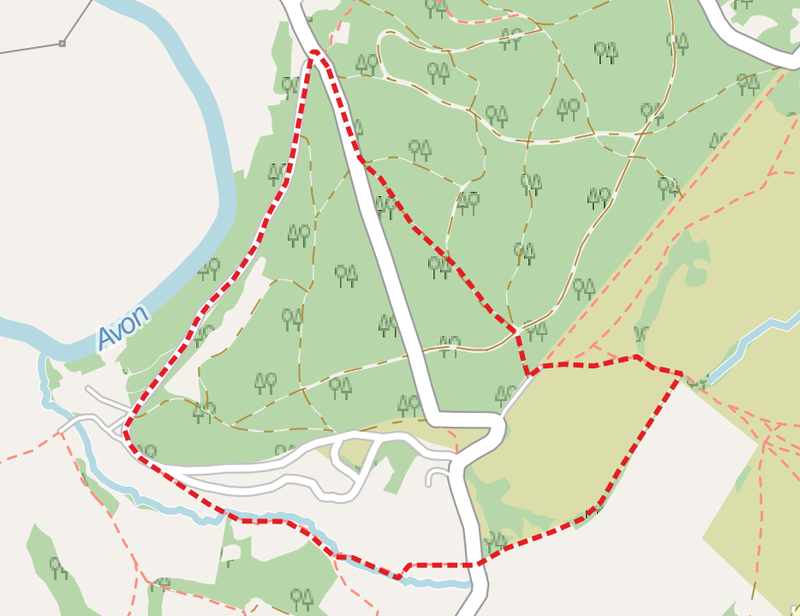 There’s a scramble back up to Lady’s Mile and a return through Godshill Inclosure. Godshill Wood is a small, dispersed hamlet stretched out along the fertile soils either side of Millersford Brook. It takes its name from a wood that was present before the development of Godshill Inclosure. Overlooking the valley are Frankenbury and Castle Hill: two Iron Age hillforts, demonstrating that people have lived and farmed in the area for at least 2000 years. The area is criss-crossed by footpaths, a remnant of its more recent agricultural past. Junction of Castle Hill and Godshill roads. Take the road over Castle Hill and down to Folds Farm. Folds Farm junction Continue round to the left on the road past the turning to Folds Farm. Arden Lodge Leave the road, taking the track on the right past Arden Lodge. Brook Cottage Continue past Brook Cottage, taking the footbridge to the right. Footpath Continue on the footpath into a field with the brook on your left side. Footbridge Just as you get under the power lines, bear left, crossing the brook over a footbridge. Follow the brook through the field. Track Cross a track and take a stile into another field. Follow the hedge to the left and, keeping to the margins of the field, continue to the road. Ford Cross the road and take the track opposite. Open Forest At the end of the track, continue onto the open Forest keeping close to the fence-line. Scramble! At the end of the fenceline take the path up the hill to the left. Bear left towards the car park. Godshill Inclosure Go through the gate at the right-hand side of the car park. Cycle track Cross over the cycle track to the footpath opposite. Within a few metres, bear left as the footpath forks. Road Turn right through the gate and continue to the starting point.